BUCYRUS — Parents of high school seniors are facing early deadlines for filing the Free Application for Federal Student Aid (FAFSA). This year, the FAFSA became available on-line at fafsa.ed.gov Oct. 1, and families can file with 2016 tax information. 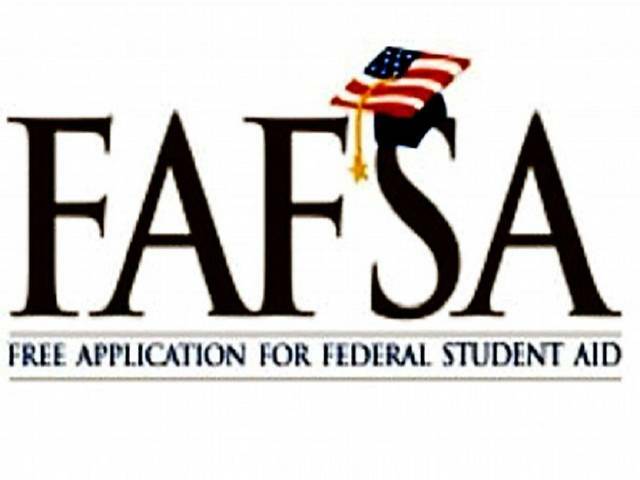 Crawford College Connection will hold a free FAFSA completion workshop on Sunday, Oct. 29, at Bucyrus Public Library. “The good news,” according to Margaret Thornton, director of Crawford College Connection, “is that many private and public schools will get financial aid packages to students by early December. That will give families more time to make an educated college choice. A program called Fall into FAFSA is a free one-on-one workshop to be held at Bucyrus Public Library from 1:30-4 p.m. Oct. 29. Parents will work individually with a college financial aid expert. Pre-registration is necessary, and parents can call the Bucyrus Public Library at 419-562-7327 to set up for a 30 minute-appointment. “Most families get their questions answered and their form filed within that half hour and leave smiling,” said Thornton. Families are urged to get an FSA ID for one parent and for the student so that they can electronically sign the FAFSA. The FSA ID is available at https://fsaid.ed.gov. Parents with questions about FAFSA completion workshop Oct 29 , should go to www.crawfordcollegeconnection.org or call Margaret Thornton at 419-562-9957.